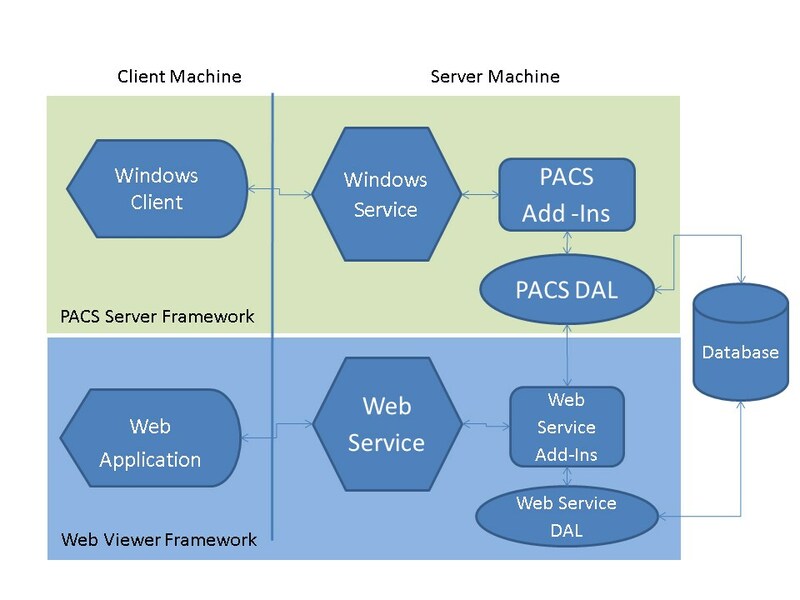 Use the Medical Web Viewer Framework to view and update access to the database used by the PACS Server Framework, as well as to query and move from a remote PACS. The Medical Web Viewer Framework is composed of a client side, which is a web-based application, and a server side, which is a web service. 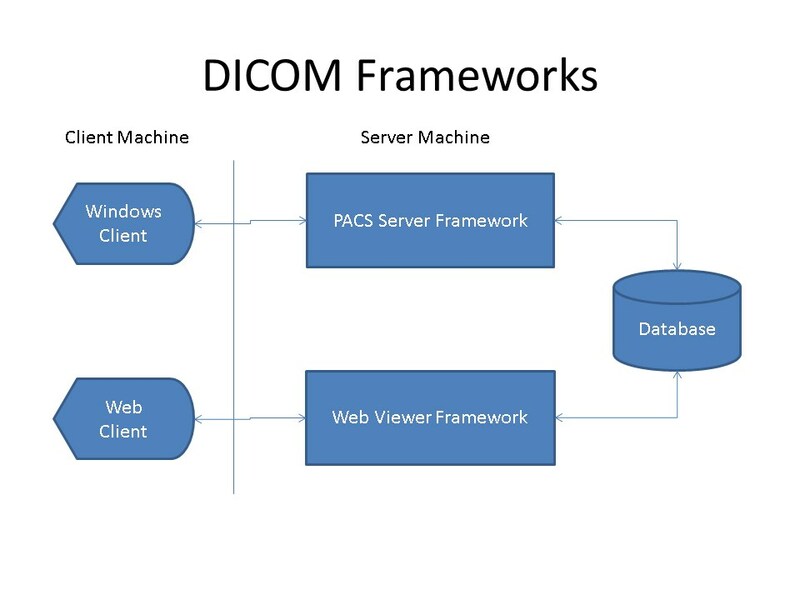 The web service uses add-ins to implement particular DICOM services (just as the PACS Server Framework does), and uses the PACS Server Framework’s data access layers (DAL) to communicate with the same database. The Medical Web Viewer Framework has its own data access layers to provide additional functionality specific to the web viewer. Licensing is checked in several places within the framework’s source code. The code in both the web viewer and the web service needs to provide the proper licensing information in order for the functionality to be released. If the proper licensing information is not found, the user will either see a dialog indicating the application is unlicensed, or the application will generate exceptions indicating that use of an unlicensed feature has been detected. For more information, refer to the licensing sections in both the Installing and Configuring the LEADTOOLS Medical Web Viewer Demo and Installing and Configuring the Web Service topics.